If I must tell the truth, the genesis of MEMS Technology Showcase began (as many great ideas do) at a bar over beers, the closing night of MEMS Executive Congress 2010. I was talking with Bryan Hoadley of Movea, who had just spoken on the MEMS in Consumer panel. He and I talked about what the MEMS industry needs – a way to show how cool the MEMS inside is – to showcase the “MEMS in the machine” (a marketing theme that we at MEMS Industry Group had just launched earlier that year). And viola! The concept for MEMS Technology Showcase was born. Last year the MEMS Technology Showcase was a huge success – so big that others even tried to replicate it at their events (I guess it’s that expression: “imitation is the best form of flattery,” right?) We crowned Recon Instruments’ MOD-Live heads-up display for goggles as our winner, and they’ve gone on to great commercial success and recognition. This year we have six finalists, and I am confident that our winner will receive accolades and customer orders galore, and it’ll be due in part to those fabulous little MEMS chips inside, enabling all that functionality in a smaller, faster and lower-power form factor with heaps of intelligence to boot. Recently I was talking with a MIG member about what was unique about this year’s Congress. I actually surprised myself when I instantly blurted out, “the keynotes!” Normally, I would talk about how cool the MEMS Technology Showcase is (and it is – really, it is!) And you’ll soon hear about it in an upcoming story/blog). But honestly, when I answer from my gut, I gotta go with my initial answer: this year’s fabulous keynotes. Our opening keynote speaker is Ajith Amerasekera, TI Fellow, IEEE Fellow, Kilby Labs, Texas Instruments. Ajith was the director of Kilby Labs at TI, which he has described as a “do tank” rather than a “think tank.” I am grateful for the time that Ajith has taken from his super-busy schedule solving important challenges at TI to answer a few questions for me, give us a peek inside his brain and preview what he’ll be discussing in his keynote, “Ultra Low-Power Electronics in the Next Decade,” on the morning of November 8. Ajith, with your vast experience at TI in the VLSI Design Labs, director of ASIC Technology Strategy, as well as the director of Kilby Labs, you’ve gained a great perspective of high tech and how it’s evolved since the 1980’s. So given your experience, how do you define the shift in electronic technology from centralized and high-touch to ubiquitous and low-touch, and what are the driving forces? I remember the first time we had a panel on consumer MEMS products at MEMS Executive Congress. It was November 2006, Marlene Bourne was our moderator and our panelists were: Frank Melzer (CEO of the newly formed Bosch Sensortec); Benedetto Vigna (back then his title was MEMS business unit director, STMicroelectronics); Mark Martin’s predecessor, Bill Giudice, vice president and general manager, Micromachined Products Division, Analog Devices; and Rick Thompson, manager, Advanced RF Technologies, BAE SYSTEMS. We’ve learned a lot over the past six years. While most of the companies from the 2006 consumer panel are still active in MEMS (but only two of the panelists! ), the Congress is now focused on hearing from end-users who are driving the market for MEMS. I am honored and truly delighted to have as this year’s moderator for “MEMS in Consumer Products,” my colleague Evgeni Gousev, senior director, Technology Development, Qualcomm MEMS Technologies, Inc. Walk into a dark room and flip a light switch on. This simple action connected an electrical circuit and caused a light to illuminate the room. That switch is a mechanical relay. Relays are fundamental building blocks that allow circuits to be operated and are found in every day products. At GE Global Research, we miniaturized the relay using MEMS technology to create ultra small switches (about the width of a single hair strand) that are able to turn electrical systems, such as a light bulb, on and off. Historically, MEMS devices have been made to sense or control signals. Our MEMS microswitch is able to switch and control power; not just signal power but hundreds of watts, even kilowatts of power. Now MEMS switches are nothing new, people have been researching and developing this technology for well over a decade. What we have done at Global Research is develop the materials, the designs and the fabrication techniques that extend this miniature switching technology’s power handling capability by nearly 2 orders of magnitude. This enables our MEMS microswitch devices to serve a wide range of applications from handheld electronics such as cell phones, to relays that control lighting and even electrical protection devices such as circuit breakers. 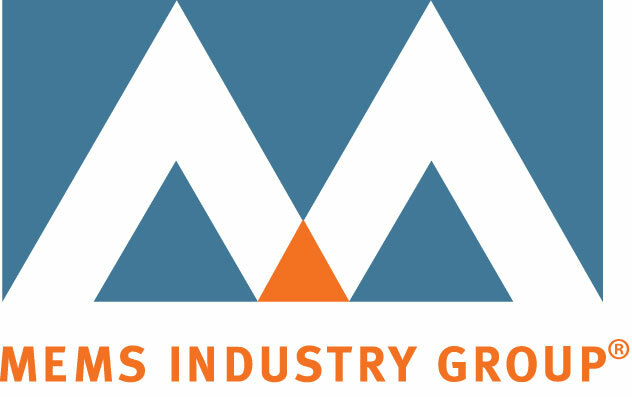 MEMS Industry Group (MIG) is pleased to announce the election of three new members of our Governing Council, a volunteer leadership body within MIG that helps to chart the future direction of our industry association. The MIG Governing Council represents the diversity of applications of MEMS technology as well as the various sizes of companies in the MEMS supply chain. Stephen Whalley, director, Sensors, Intel Architecture Group, Intel Corporation, a world leader in computer innovation. Steve Dwyer, business director, Dynaloy, LLC., who will be rotating off as board chair; and Kevin Crofton, executive vice president and COO, SPTS Technologies, who will rotate on as board chair. The complete list of MIG Governing Council members is available online.